Infinity has provided our Fourth Shift clients a wide range of custom applications to extend their Fourth Shift®environment. Some of these "consulting-ware" have been reengineered as companion software to meet a broader portion of the Fourth Shift® community. Each of the companion product offers the benefit of a custom engagement with "off the shelf" pricing. The Quote2Order (Q2O) module adds real time CRM functionality to your Fourth Shift® environment. Because it is completely integrated with Fourth Shift®, Quote2Order starts with your existing data, including customers, part numbers, price books and credit information. Q2O also allows quotes for new customers with minimal information requirements, sending email alerts to notify others in your organization to complete the customer approval in Fourth Shift®. When a new customer places an order based on your quote and the customer approvals are already in place, you are only a few clicks away from accepting their order. Customer Information Center (CIC) empowers your customers to answer some of their basic questions in a very convenient way. With this secure, web based application, your customers are able to monitor their orders, from the time it is placed, through production and on to shipping status. Wildcard searches and multiple search criteria create an easy-to-use tool for filtering the records based on whatever information is available. Additionally, Customer Information Center lets customers check on their remaining account credit, look at their outstanding invoices and review their purchase history. Sales Information Center (SIC) consolidates the wealth of information stored within Fourth Shift® and presents it in a secure, easy to use web based tool. The charts and graphs in Sales Information Center cover all of the key sales metrics, including Orders Booked, Orders Invoiced, Highest Performing Sales People and Top Sales Items. The data from a specific chart or graph can easily be sorted and rearranged to meet the needs of the user. Additionally, the data can be exported to Excel for further analysis. Native Card Services is a companion product for your Fourth Shift® environment, intuitively integrating credit card authorization natively within Fourth Shift®. Through use of a hot key, your customer service team can instantly gain and see card verification and authorization. The data is recorded directly into corporate customer financial records and fully encrypted for proper security. Transactions are processed directly in Fourth Shift®. The gained speed and efficiency quickly justifies this easy to use and helpful companion product for Fourth Shift®. For common reporting needs beyond the standard Fourth Shift reports, Infinity has compiled our Core Reports Suite - Fourth Shift (CRS-FS). 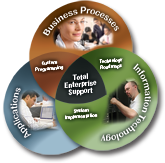 CRS-FS is a web enabled collection of business critical reports. Users can quickly navigate the folder structure to find the report they need. Once the report is selected, the user has the option to accept the default parameters or filter the data to precisely the information they desire. In addition to view the report, users can elect to print or export in a variety of formats. Developed on SSRS, users can subscribe to specific reports to automatically update their analytical spreadsheets or even receive the reports in their email inbox. ©2009 Infinity Business Consulting, Inc.